USTINOV (AUS) (Bay 1998-Stud 2003). 2 wins-1 at 2, MVRC AAMI Vase, Gr.2. Sire of 227 rnrs, 120 wnrs, inc. SW Vonusti (WRC Telegraph H., Gr.1), Antarctic Miss, She's Insatiable, Ask Me Nicely, Sarsarun, SP Ididit, (Sir) Mako, Heez Born Lucky, Miss Sharapova, Albonetti, Faraway Eyes, Hiphopopotamus, The Raconteur and of Use the Lot, Ustinov's Fury, Sweet Talking Guy, Jack Attack, Jack Romanov, Amun Ra, Laconic Lad, Tilda, Bag of Nickels, etc. Kathonious (g. by Ustinov). Winner. See below. Aljazmic (f. by Moshe). Winner at 1650m, 2d TRC Purple Day P., 3d TRC ATA Celebrates 50 Years P.
Wharfie's Boy (g. by Strategic Maneuver). Winner at 1000m in 2018-19 in Aust. Bop Girl. 3 wins. See above. Billy Esprit. 2 wins at 1200m in Aust. Jonolly Lass. Winner at 2 in Aust. El Questro. 3 wins at 2000m, 2350m in Aust. Julianne. 2 wins. See above. Blaskit. 2 wins at 1200m, 1400m in Aust. Zeffly. 11 wins at 1200m, 1300m, A$109,700, WATC Linneys H., Labour Day H., HC Callagher Memorial Apprentices' H., 2d WATC Lord Sydney H., 3d WATC Winter Series H., Grandstand Road H., Coral Sea H.
Dynasty Blaze. 6 wins from 1300m to 1800m in Aust. FUTURE ETHICS (Scrupules). 11 wins from 1200m to 2000m, A$158,415, SAJC Alcohol Go-Easy Cup, Gr.3, Igloo H., Gallipoli Memorial H., Super Cellars Liquor Stores H., 2d SAJC Connell Wagner Trophy, L, West End Draught P.H., Mas Penang Giveaway H., Powell Model Agency H., AWA Distribution H., Adelaide Central Market H., Oriental Ruler H., 3d SAJC Watney H., West End Export H., 4th SAJC Pope Packaging S., L.
Western Wager (West Quest). 8 wins-1 at 2-from 1000m to 1650m, A$156,755, TTC Jackson Motor Company Cup, Denis Ryan H., TRC Members Sprint H., Raine & Horne Eastern Shore H., 2d Tasmanian Guineas, L, TRC On Horizons Goodwood H., Sires Produce S., TTC Power & Automation WFA S., TRC Derwent Park Developments Pty Ltd H., 3d TTC Eliza Park H., 4th Tasmanian S., L.
MING DYNASTY (Planet Kingdom). Second on The 1979-80 & 1980-81 Australasian 4YO+ Classifications (1300m-2000m). 17 wins-1 at 2-from 1200m to 2600m, A$530,225, AJC Queen Elizabeth Randwick S., Gr.1, Metropolitan H., Gr.1, VRC Australian Cup, Gr.1-twice, VATC Caulfield Cup, Gr.1-twice, AJC Autumn S., Gr.2, VRC Craiglee S., Gr.2, NSW Tatt's RC Chelmsford S., Gr.2, AJC Summer Cup, Gr.3, Craven P., L, STC Tulloch S., L, AJC December H., Forestville H., STC Sans Souci H., 2d QTC Brisbane Cup, Gr.1, NSW Tatt's RC Chelmsford S., Gr.2, QTC PJ O'Shea S., Gr.2, VATC JJ Liston S., Gr.2, Qld Tatt's RC Tattersall's Cup, Gr.3, NSW Tatt's RC Tattersall's Club Cup, L, BATC Clive Uhr H., L, 3d AJC Australasian Champion S., Gr.1, BATC Doomben Cup, Gr.1, VATC Caulfield S., Gr.1, QTC Grand Prix S., Gr.2, STC Hill S., Gr.2, VRC Batman S., L, AJC Fernhill H., L, QTC Sir Winston Churchill S., L, 4th STC Phar Lap S., Gr.2, VATC T S Carlyon Cup, Gr.2, C F Orr S., Gr.2, J J Liston S., Gr.2, Memsie S., Gr.2, St George S., Gr.2, Sydney Turf Club Cup, Gr.3. STAR DYNASTY (Planet Kingdom). 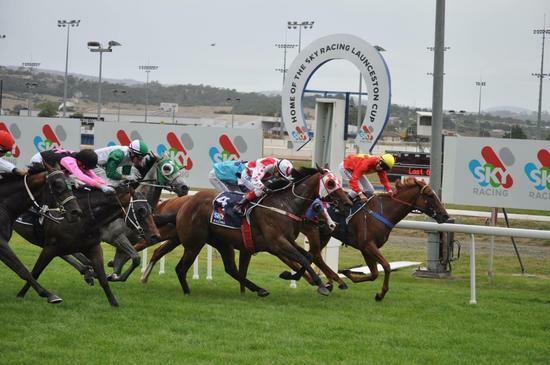 4 wins from 1600m to 2400m, Newcastle Gold Cup, L, AJC Bottle Mart H., STC Alexandria S., 2d STC NE Manion Cup, Gr.3, 3d QTC Grand Prix S., Gr.2, AJC Cabochon H., L, 4th QTC Brisbane Cup, Gr.1, Queensland Derby, Gr.1. Race Record: 10 Starts 1-3-2 A$31,825. Winner at 1400m in 2017-18, 2d TTC National Jockeys Association H., 3d TTC Henry's Restaurant H.